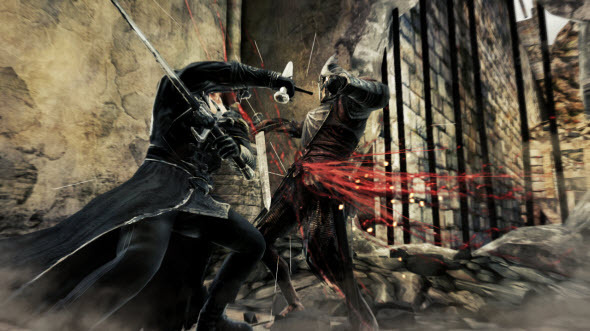 The developers of Dark Souls 2 game don't like to share the information about their project. However they decided to show the gameplay of this game at Comic-Con expo. If you were not present at this event, we would like to show you some cloak-and-dagger videos captured during the last few days. On these short videos you can finally find out how the Dark souls 2 gameplay will look like. Well, it seems that the developers didn't want to make something completely new, so if you liked the first instalment of this series, you will like Dark Souls 2. In a recent interview the developers have told that they wanted to make the game closer to fans, and so it won't be as difficult, as the first instalment. However, almost each battle on Dark Souls 2 gameplay videos was lost, so Dark Souls game, fortunately, remains Dark Souls. Also on new videos you can see several bosses of the game together with more common opponents. Seeing is believing, so enjoy Dark Souls 2 gameplay and thank to SteamyPunkSouls Youtube user for the captured videos.